I met Arwel when he was a young fellow with just the beginnings of a beard growing on his cheeks and chin. He stumbled upon my abode late in the afternoon on a foggy day. It was bitterly cold, and the fog was so thick that you could barely see a thing around you. I was sitting in front of my warm fire reading, when the door to my home was pushed open and Arwel fell into the cave. I remember how alarmed he was when he first saw me, which is not surprising. Arwel was very surprised to discover that I am not dangerous, that in fact I am a very peaceable individual. Like so many of his kind, he was under the false impression that we are an aggressive people who like to cause harm. Perhaps in the past there were some clans who were rather hostile, even bloodthirsty, but the members of my clan are not like this at all. In my opinion, we are sophisticated and cultured group. We value education, seek knowledge, and love the gentle arts. Indeed, we are proud of the fact that we have many writers, artists, and musicians in our community. I myself had chosen to leave the home of my parents so that I might pursue my studies and write in peace. Which was why I was living alone in a cave with only my books and papers for company when Arwel first met me. Once Arwel realized that I was not a threat to him (what a preposterous idea), he began to ask me a thousand and one questions about myself and my people. I must admit that I was flattered by his interest, and was glad to answer his questions. 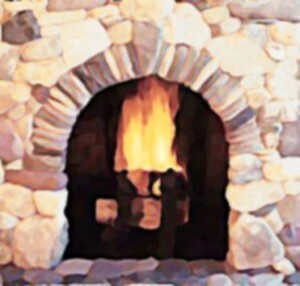 As we talked, he warmed himself by my fire (it was a freezing night), sipped a warming drink, and he even ate a little of the bread that I had made that morning. Arwel was not the first person to accidentally find his way to my home. Many years before, I had befriended a kindly shepherd called Gareth, and the two of us had shared many grand discussions sitting by my fire or walking in the hills together. I was sorely grieved when I discovered that the old man had left this earth. I think it would be fair to say that I missed Gareth so much that I was glad when Arwel turned up. Much as I liked to have uninterrupted hours to read and write, I did rather miss having someone to speak with. At the time, Arwel’s arrival seemed fortuitous. Now I know that it was not. Instead, it was a disaster.